Hi there. 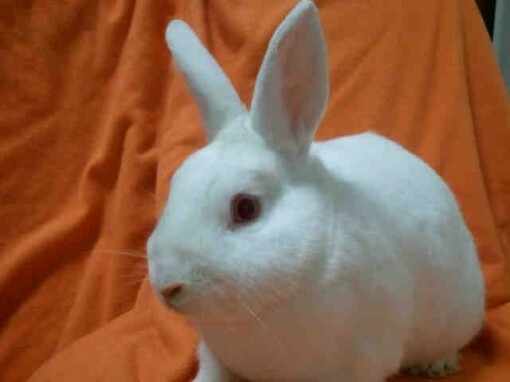 I’m Buddy, a 1-year-old neutered white rabbit. As you can see, I’m not your usual Pet of the Day. I’m such a sweet guy, but because I’m so shy, I don’t always get noticed amidst my colorful bunny friends. So I’m coming on here to find the perfect bunny-friendly family to take me in! I’m a Quiet Character, which means I prefer a calm, quiet home where I feel safe and can relax. I rarely get into mischief, and I would love some boxes or objects in my cage that I can play with and hide in. I would be better in a home that already has a rabbit or with people who are experienced rabbit lovers. My adoption fee is $20. Stop by Humane Society of the Pikes Peak Region at 610 Abbott Lane in Colorado Springs to see me and all of my friends! Click HERE for directions.